3 Square Meals: A Family of Five Takes Hunger Free Vermont's Food Challenge | Features | Kids VT - small people, big ideas! I'm the chef and food program coordinator at the Burlington Children's Space, a local school that serves 50 children ages 5 and under in Chittenden County. I also have three kids of my own to feed — including a teenage boy — so grocery shopping is pretty much always on my mind. 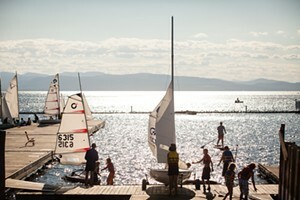 When Kids VT asked if I would take Hunger Free Vermont's 3SquaresVT Challenge and write about it, I agreed immediately. 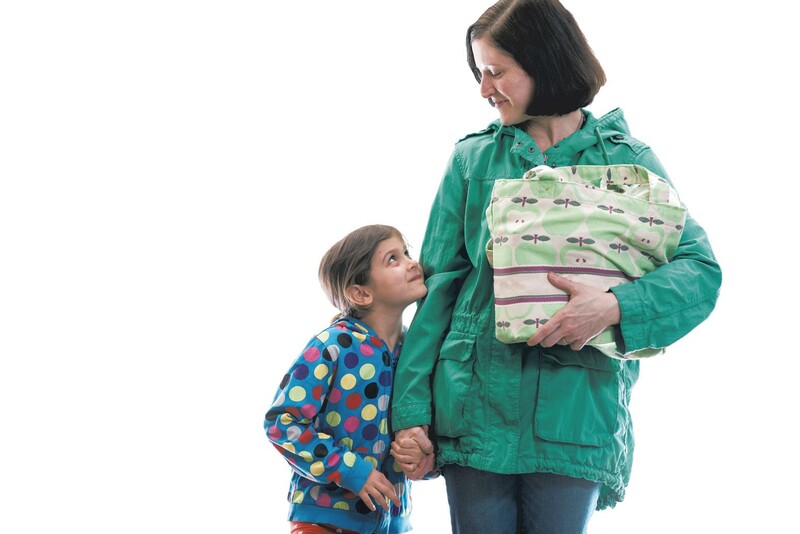 Hunger Free Vermont is a nonprofit organization that works to address the root causes of hunger statewide and improve Vermonters' access to the federal Supplemental Nutrition Assistance Program (SNAP, formerly Food Stamps), which Vermont calls 3SquaresVT. The challenge is designed to raise awareness about the program — and the challenges of eating well on a limited budget. Participants pledge to shop for food using the average 3Squares benefit amount, based on their household size. For me, that meant feeding my family of five on $115 a week. 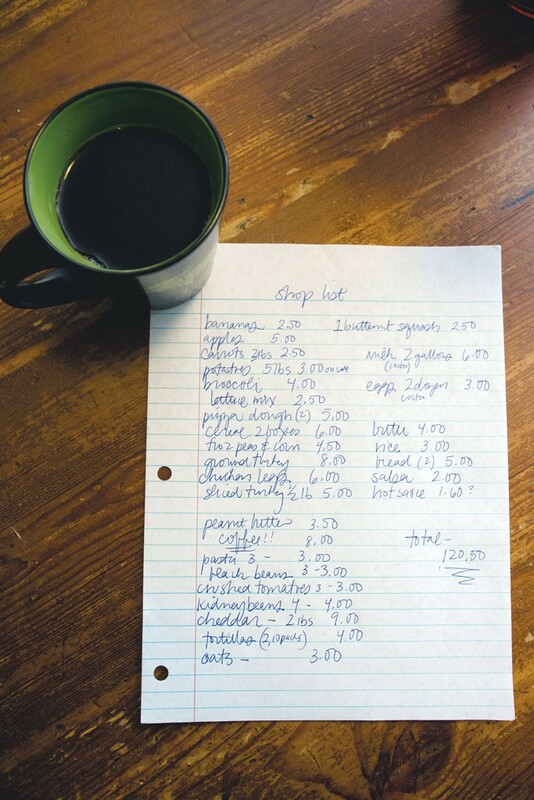 I knew staying within this budget was going to be a challenge, and when I sat down to make an itemized grocery list, I realized that I'd have to be more organized than usual. For example, I'd need to allot specific amounts for each meal. Thankfully, two of my kids have access to free, nutritious food in the Burlington schools. This was essential in order for us to survive on a limited budget. Also to my advantage was a stockpile of fairly low-cost, healthy recipes that I knew how to prepare. It takes time and energy to plan for a week's worth of family meals on a tight budget, and to cook them every night. I thought of how much more difficult the challenge would have been if I didn't have much time for food prep and wasn't an experienced cook. At the store, I was forced to change my habits and choices. I thought carefully about the ingredients for each meal and tried to be precise in determining what we'd need. Ordinarily I'd grab two boxes of pasta without thinking, but stocking up on supplies was not an option. Also cut from the list: two 12-packs of seltzer cans, ice cream, my Diet Coke stash, the seaweed sheets my 9-year-old loves to snack on, my teenager's favorite cereal and supplies for baking projects. As I looked over the finished shopping list, my first thought was: It's not very comforting, but we'll live. The menu was utilitarian and didn't evoke the pleasure I usually get from cooking and eating with my family. When you're food insecure, the fun of cooking — the connection and community aspect of food — is lost. The priority becomes making sure everyone has enough calories. 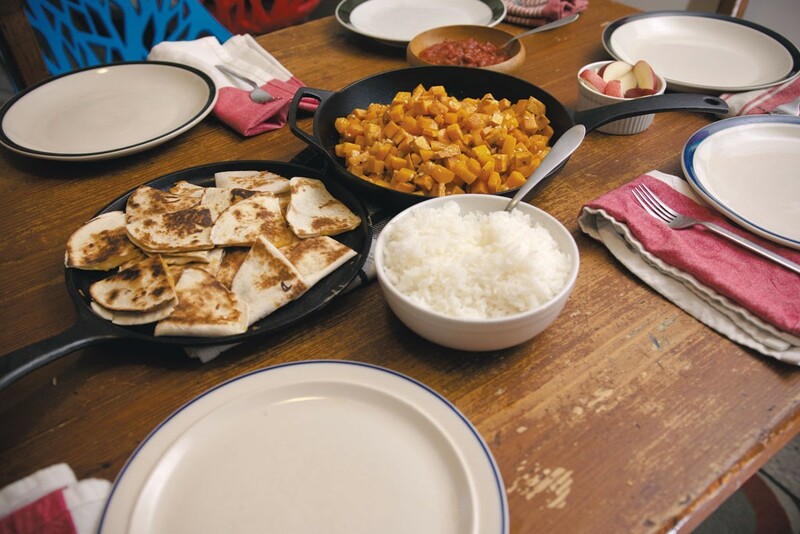 When our family sat down for a dinner of roasted veggies and quesadillas, I worried about how much the kids would eat, and if they'd still be hungry when the food was gone, rather than what to do with leftovers. It was clear that we couldn't afford to invite friends to eat with us. And dining out, for convenience or celebration, was out of the question. A takeout meal for the five of us would have used up at least a third of our weekly allotment. I also realized that a well-stocked pantry is a luxury. Though it's not encouraged during the challenge, I relied on spices, different kinds of oil, vinegar, seeds and herbs to add flavor and a little extra something to simple meals. If I hadn't had an adequate food budget to begin with, I wouldn't have had a pantry filled with staples to help me along, and meals would have been less enjoyable. After completing the challenge, I look at my weekly shopping trip differently. If I want to buy ice cream, or a six-pack of Diet Coke, I don't have to subtract something else from the grocery list, and that's a privilege. I like to think that my family has always appreciated that we have the resources to live comfortably. Still, the 3 Squares Challenge was sobering. Living on such a tight budget made us intensely aware of — and grateful for — our easy relationship with food. Cook from scratch. It takes more time, but if you start with whole ingredients instead of processed stuff, you'll be able to stretch your food dollars farther and your meals will be healthier. Check out websites dedicated to recipes for delicious and budget-friendly meals. I like doublethebatch.com, which features low-cost recipes and thrifty tips. 5dollardinners.com has indexed recipes, meal plans, cooking tips and printable coupons to get you going. Realsimple.com often features tasty recipes with inexpensive ingredients. Use fresh veggies. They can be pricey, but they're essential. Go for whatever's in season, or closest to it. (Carrots, potatoes and beets are good in winter.) Frozen veggies are useful, too. We always keep peas and corn in the freezer. We couldn't afford organic during the challenge, but that's what I usually buy. They can add a boost to simple dishes like pasta with butter and Parmesan cheese, or rice and beans. Warm veggies with butter for an easy side dish. Go for garlic and onions. A little of each sautéed in a bit of butter or oil can add flavor to just about anything you're cooking. Trust me, when they release their magic fragrance, everyone in the house will say "Dinner smells great!" 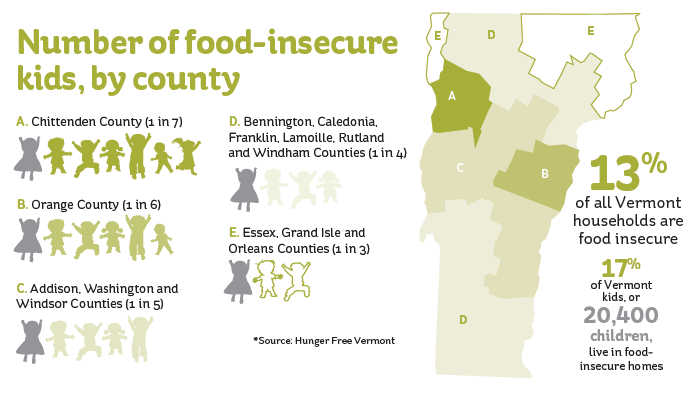 Let your representatives know you value programs that benefit food-insecure Vermonters, and ask that they support them. Support the lunch programs in your local schools any way you can. The Hunger Free Vermont website has a School Meals Hub section where you can learn about school food initiatives and donate or volunteer. The Burlington School Food Project runs summer meal sites to feed kids when school isn't in session. Make sure your local schools let everyone know where kids can access food over the summer, or volunteer to help out at a site near you. Donate to Hunger Free Vermont, or visit hungerfreevt.org to find out about events your family can participate in to raise awareness. Take the 3SquaresVT Challenge, then reflect on the experience with your family.